Nearly opaque deep purple color. Aromas and flavors of conditioned leather, dried berries, waxy honeycomb, and dried flowers with a satiny, bright, dry-yet-fruity medium-to-full body and a smooth, delightful, relaxed finish with notes of blackberry custard, nut brittle, and cedar with well-integrated, silky tannins. A nuanced and attractive petite sirah that is drinking beautifully now. 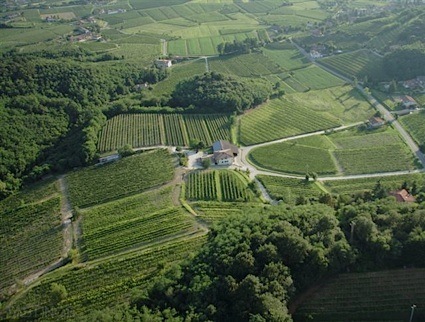 Bottom Line: A nuanced and attractive petite sirah that is drinking beautifully now. 91 • Cedar Mountain 2014 Reserve Ghost Vines, Zinfandel, Livermore Valley 16.2% (USA) $28.00. 85 • Cedar Mountain 2015 Del Arroyo Vineyard, Pinot Grigio, Livermore Valley 15.1% (USA) $15.00. 89 • Cedar Mountain 2016 Ghielmetti Vineyard Rosé, Grenache, Livermore Valley 15% (USA) $22.00. 83 • Cedar Mountain 2016 Ghielmetti Vineyard, Sauvignon Blanc, Livermore Valley 13.3% (USA) $18.00. 93 • Cedar Mountain 2016 Del Arroyo Vineyard, Pinot Grigio, Livermore Valley 13.9% (USA) $18.00. 80 • Cedar Mountain 2015 Chardonnay, Livermore Valley 14.3% (USA) $20.00. 90 • Cedar Mountain 2017 Ghielmetti Vineyard , Grenache Rosé, Livermore Valley 14.2% (USA) $22.00. 89 • Cedar Mountain 2015 Ghielmetti Vineyard, Petite Sirah, Livermore Valley 13.7% (USA) $.00. 88 • Cedar Mountain 2017 Ghielmetti Vineyard, Sauvignon Blanc, Livermore Valley 14.3% (USA) $18.00. 89 • Cedar Mountain 2017 Del Arroyo Vineyard, Pinot Grigio, Livermore Valley 14.5% (USA) $18.00. 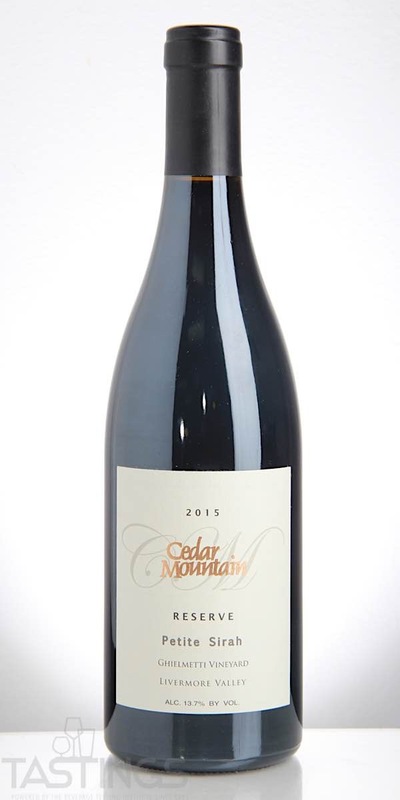 Cedar Mountain 2015 Ghielmetti Vineyard, Petite Sirah, Livermore Valley rating was calculated by tastings.com to be 89 points out of 100 on 6/14/2018. Please note that MSRP may have changed since the date of our review.